to raise funds for their monastery. 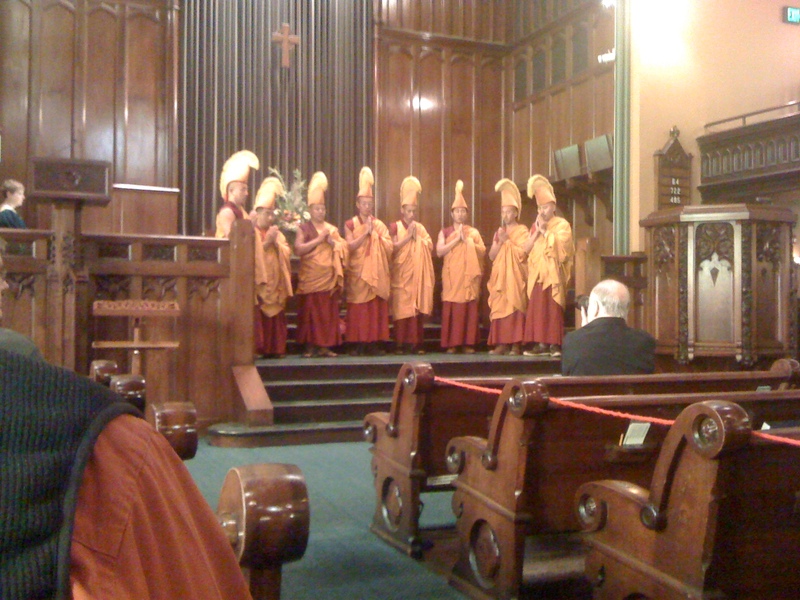 The monks will return to Lake Street Church on Saturday October 8, 2011 for an evening of sacred chants at 7 p.m. also in the Sanctuary. The suggested donation for this event is $10. The complete list of events is detailed below. Navy Pier welcomes the Tibetan Monks of Drepung Gomang Monastery from Mundgod, India as they stop in Chicago during thet 2011 US Tour. Over three days, witness the monks carefully construct a Mandala – or sand painting – by pouring dyed sand particles into intricate patterns onto a flat platform, forming a diagram that represents the principles and traditions of Buddhism. For this event, the monks will create the “Mandala of Medicine/Healing”. In addition, each day at 6 p.m. the monks will chant and play traditional instruments. Once the sand painting is complete on Wednesday, October 19th the event will culminate with a Closing Ceremony and the Dismantling of the Sand Mandala. For more information on the Drepung Gomang Monastery visit www.gomang.org. Thanks to Tim Harrington from the Lake Street Church for this information.